Wadi us-Salaam, which literally means the Valley of Peace, is an Islamic cemetery located in the holy city of Najaf, Iraq. 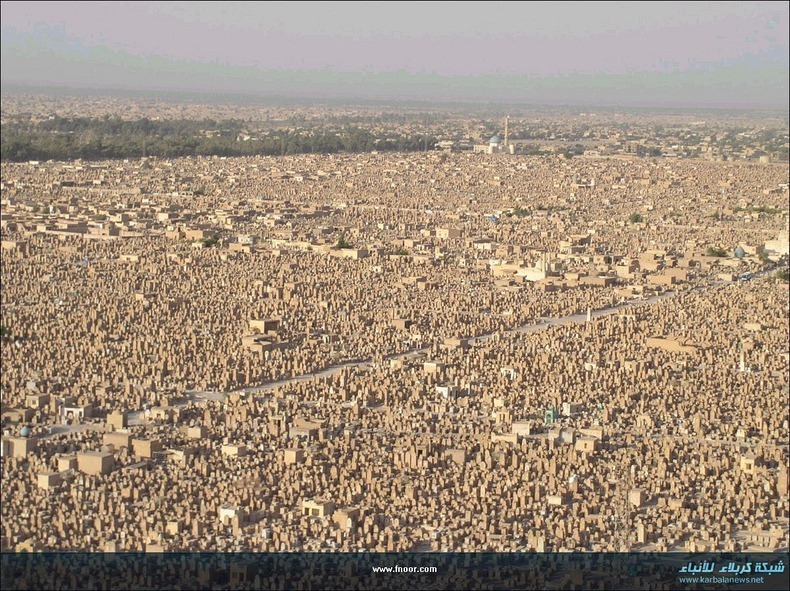 The cemetery covers an area of 1485.5 acres and contains millions of bodies, making it one of the strongest contender for the title of the largest graveyard on earth. Najaf itself is one of Iraq's biggest cities, with a population of nearly 600,000. But the adjoining city of the dead holds the remains of millions, stretching for up to 10km along the valley. Wadi Al-Salam cemetery is also the only cemetery in the world where the process of burial is still continuing to day since more than 1,400 years.